The possibility that Mars was once home to all kinds of life is looking better and better with each new Curiosity discovery. 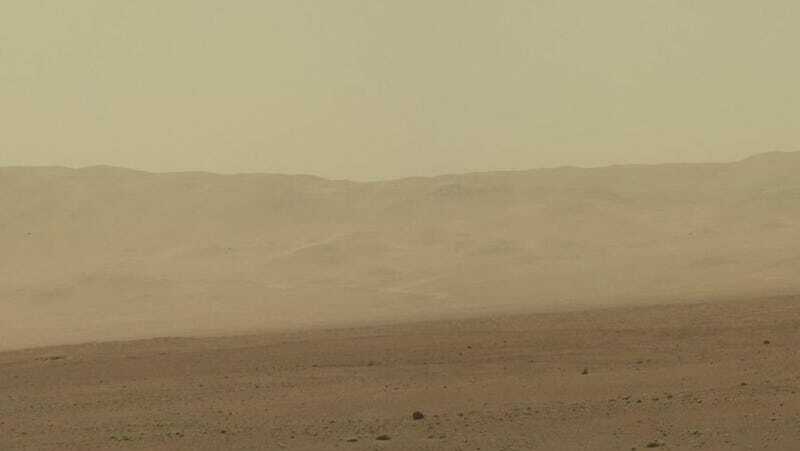 According to newly published research, the rover has stumbled across a site in the Gale Crater that scientists believe might have once been a lake full of life. The newly discovered lake site would have been full of water some 3.6 billion years ago, and it's also full of all the chemical signatures for life—like carbon, hydrogen, oxygen, nitrogen, and sulfur. The findings are detailed in six—six!—papers in the latest edition of Science, one of which suggests that the life could have been chemolithoautotrophs, or resilient little critters that live in thermal vents deep beneath the ocean's surface. Evidence of life on Mars is not a new thing. (There's a futuristic statement for you.) To be more specific, evidence that life could have lived on Mars is not new. Earlier this year, Curiosity found evidence of clay minerals that could only have been formed in water that wasn't too acidic or basic—in other words, water that could have supported life. (They also found water in the soil, nbd.) The old lake site in the Gale Crater bears the same telltale signs, as well as the right life-friendly chemical signature. Says Professor John Grotzinger, project scientist on the Curiosity mission, "The whole thing just seems extremely Earthlike."